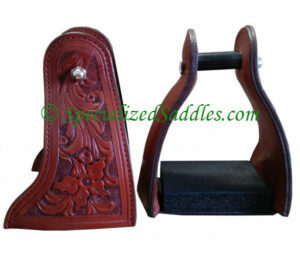 The Specialized Saddles Western Engraved Aluminum Offset Stirrups put a riders feet in a more parallel position to the ground and aids in taking pressure off knees and ankles. 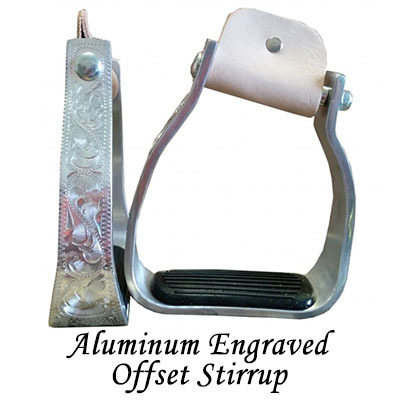 These stirrups feature the classic engraved offset stirrup look and have a rubber tread for grip. 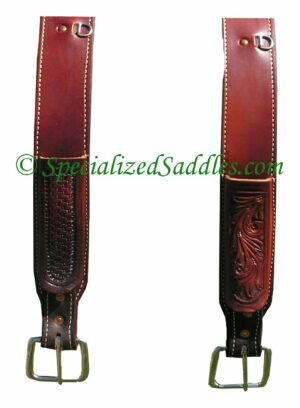 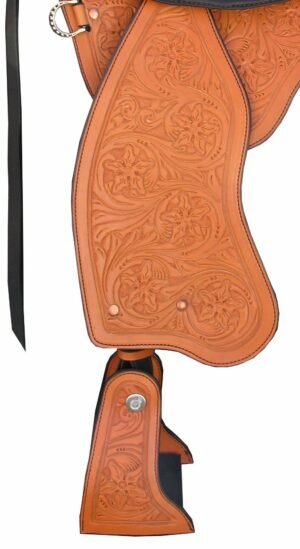 Specialized Saddles Western Engraved Aluminum Offset Stirrups are constructed of durable aluminum and have a wide rubber tread foot bed. 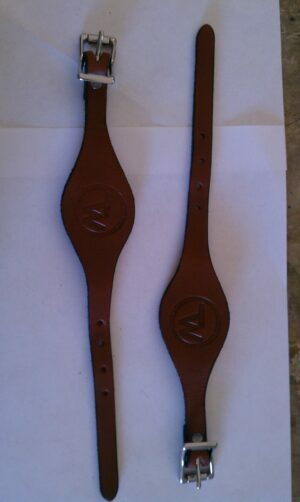 The sides. 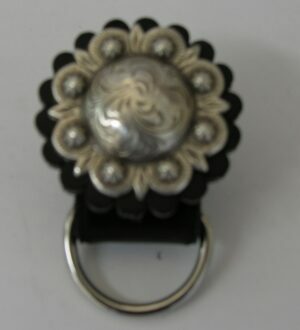 Available only in 3″ neck and 2½” rubber tread foot bed 5″ height, and 5″ width. 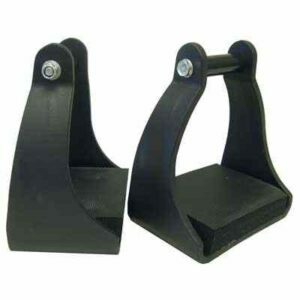 For use with Traditional Fender.